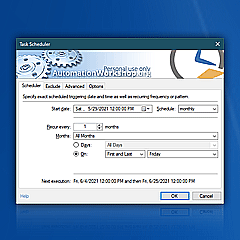 Zip files · Automation Workshop can easily compress files into a number of popular archive formats. Using wildcards in file masks allow to specify what types of files to archive. 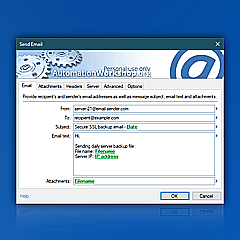 The action supports archive encryption, Unicode filenames, creating large archives, creating multiple-volume archives, excluding files by their name, type, date and attributes as well as setting various compression levels. For the first time, I have full control over the entire computer automation! —Jeff B.